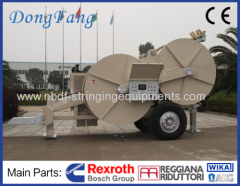 Hydraulic Pullers and Hydraulic Tensioners are important equipment for Overhead Transmission Line stringing operation, include conductors and OPGW. 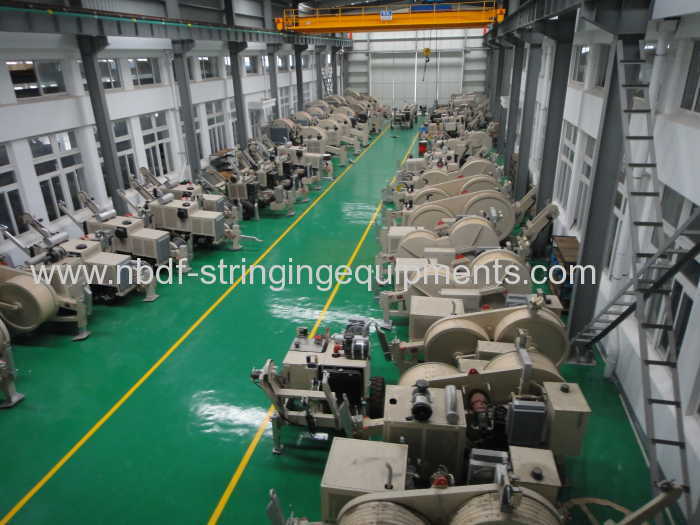 We started production of pullers and tensioners from 1990's, after more than 25 years production, we accumulated a lot of experiences in the design and production, we can provide whole set of hydraulic pullers and tensioners for Overhead Transmisson Line Stringing up to 1000 KV in China. -With closed hydraulic circuit and variable displacement plunger pump, the pulling force could be step less controlled, and can be read on the line pull gauge. 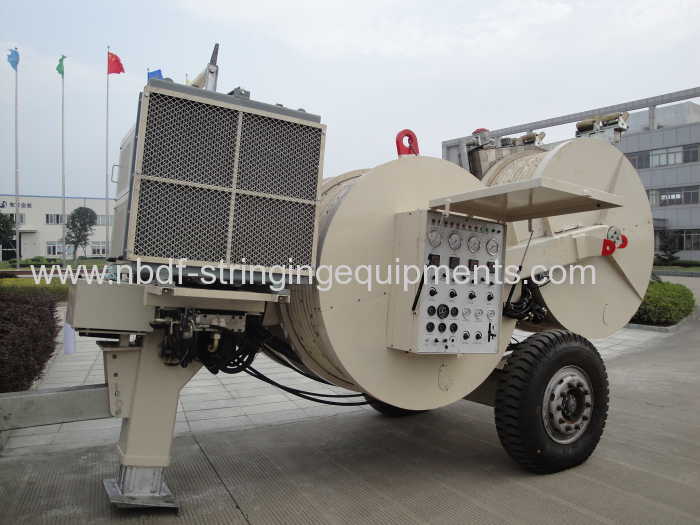 -The max pulling force for stringing operation can be preset. -With a negative spring applied hydraulic released brake, and automatic overload protection. -With hydraulic oil cooling system. -Integral self-loading reel winder with automatic level wind. 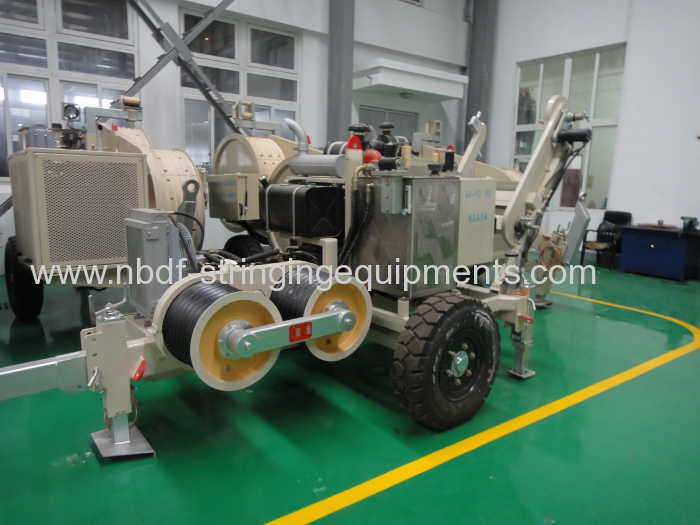 Application: It is suitable for single conductor, earth wire, OPGW and ADSS optic fiber cable stringing in line stringing operation. 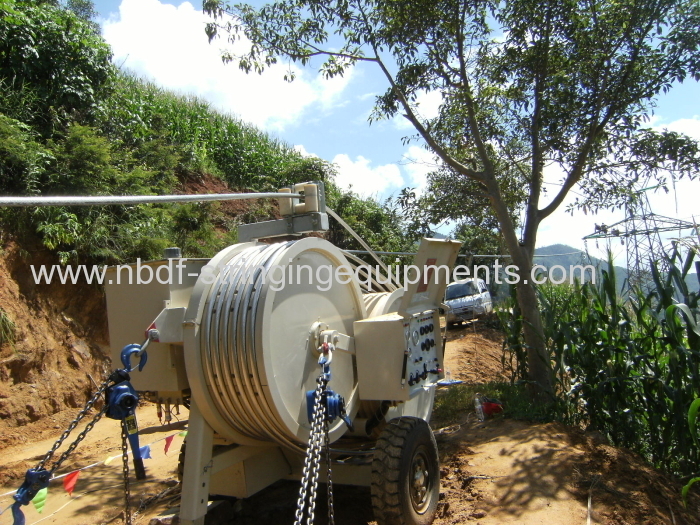 Application: The machine is used for stringing four or two bundled conductors or steel ropes. - Closed hydraulic circuit, infinitely variable pull / tension force control in both directions. - The max. 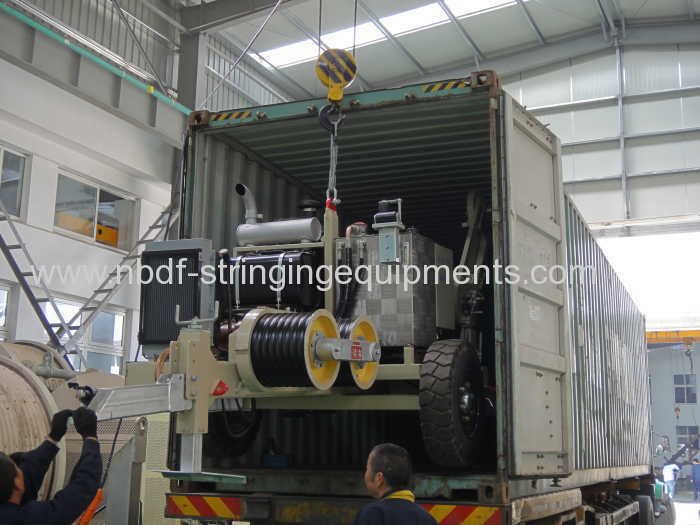 tension / pull back force for conductor stringing operation can be preset, the tension /pull back force can be read from the tension gauge of machine. 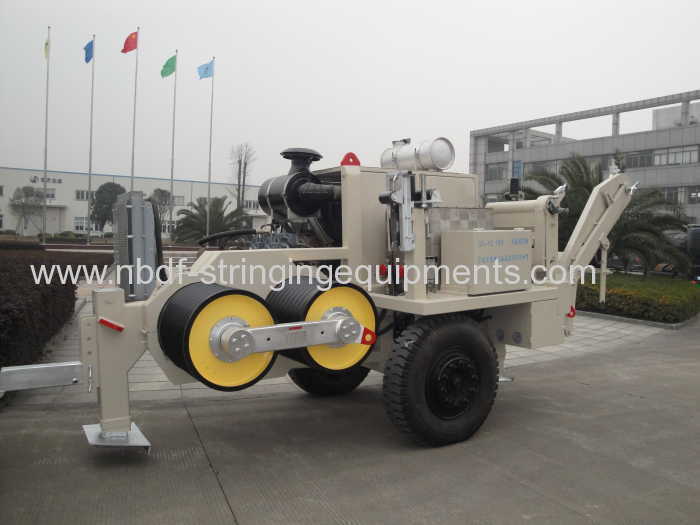 - Automatic overpull protection system. - Hydraulic oil cooling system. Hydraulic front jack. - Bull wheels lined with wear proof MC nylon lining segment. - Optional 4 hydraulic power outlets to control 4 sets of hydraulic reel stands. - Mounted on trailer with rigid axle for towing at max. speed of 15 km / h.